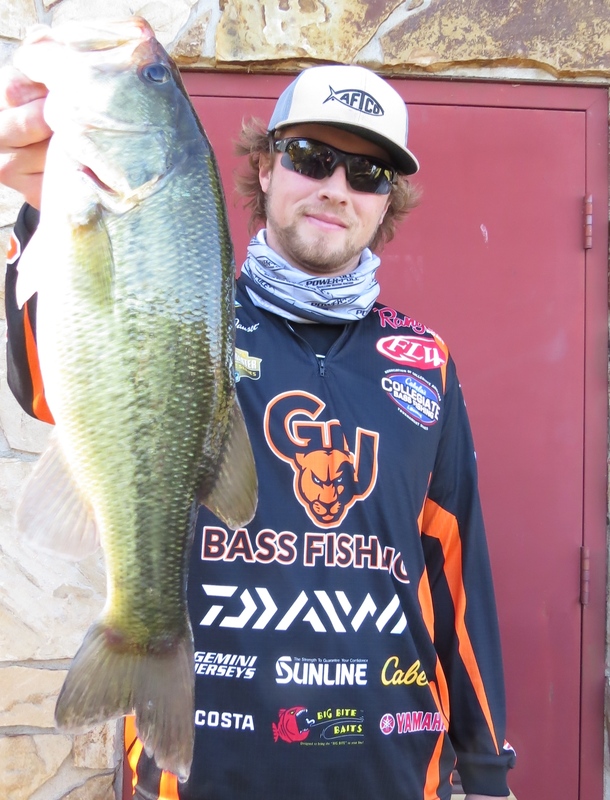 The Greenville University Bass Fishing team competed in their second to the last tournament of the fall season over the weekend in Kinkaid, Illinois at Kinkaid Lake. The event, located about two hours south of campus, was a combination of the Illinois State Championship and the Illinois Bass Nation Qualifier being held at the same time, at the same place. Since both events were being held together, they combined the weigh-ins to just one weight that would decide the standings for both events. The weather during these tournaments would prove to be the weakness of all twenty-two of the teams competing, but one. The wind topped out at 25 MPH, creating extremely difficult fishing conditions, which showed through the weigh-ins. The winning team of Trevor McKinney and Ethan Jones, from McKendree University, brought in the limit of five fish and won the tournament. Outside of the winning team, only five teams brought in two fish, seven teams brought in one fish, and nine teams did not bring any fish to scale. To put the bad weather conditions into perspective, the tournament average was one fish per team. 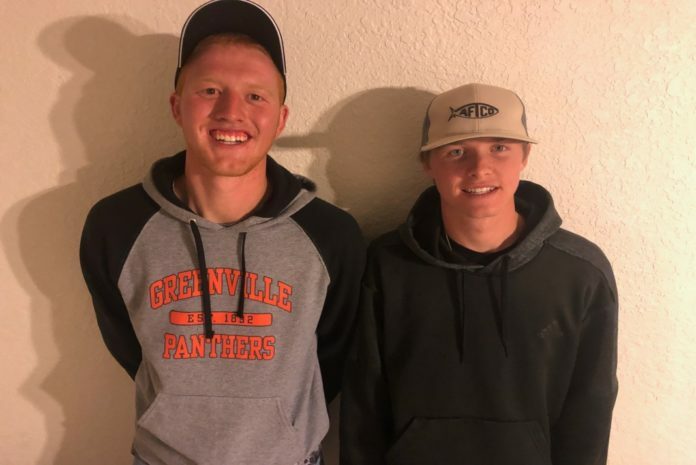 The top finishing team for Greenville University was the duo of Cordell Beckmann and Ricky Huge, bringing in two fish for a fourth place finish with 4.96 lbs. 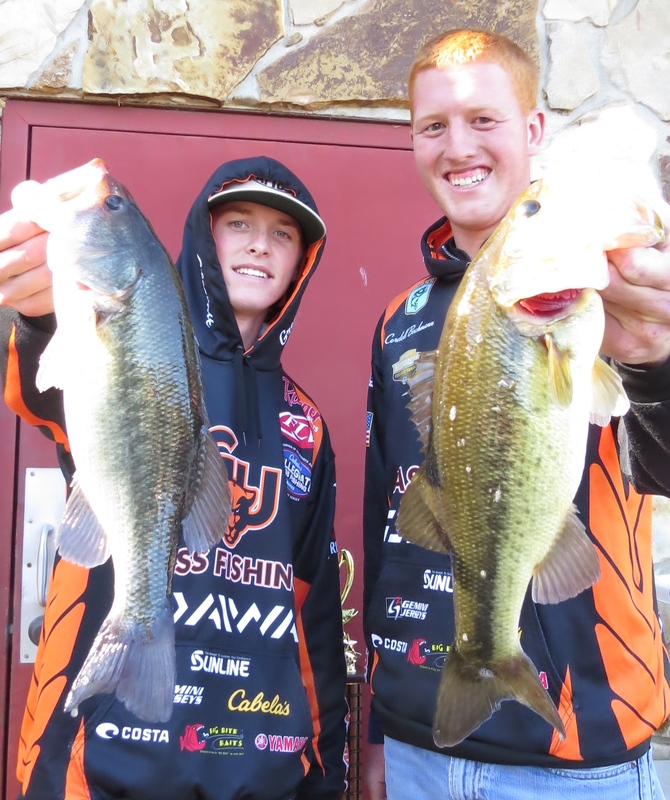 Cale Jausel and Ryan Rakers brought in one fish for 2.29 lbs, which put them in eleventh place. Chris Brooks and Hannah Hill finished in a close twelfth place with one fish for 2.24 lbs. With one more event left, the fall season is about to come to a close for the Bass Fishing team. Stay tuned for the results from the Murray State Invitational!